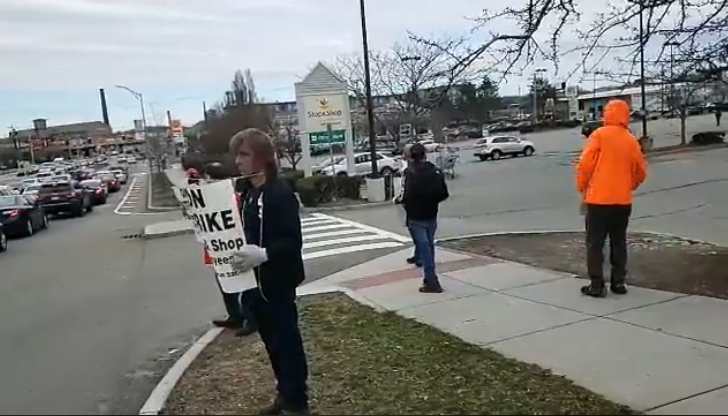 Stop & Shop Union workers from Massachusetts, Rhode Island, and Connecticut continued to strike Saturday. The 30,000+ workers represented by the United Food and Commercial Workers Union have been negotiating with Stop & Shop since February 14th. The union workers continue to garner support from customers and other fellow unions. Local Stop & Shop locations continue to be open with limited service and self checkout from 8:00 a.m. – 8:00 p.m.. Calls placed at the Rodman Street location, however, have still gone unanswered. The Citizens banks and pharmacies located inside the markets are separate and continue to operate as usual. Union workers have issued a list as to why they are striking. Stop & Shop President Mark McGowan issued the following statement to striking workers Friday night. The company contends that several of the claims leveled by the union are incorrect and issued several fact sheets based on the individual union (5 unions are part of the strike). The company issued fact sheets can be found here.